Compacts with extended vertical travel in a small footprint. lifts are packed with features. Note: Semi-live adds approximately 1-1/2 to the low height of the lift. 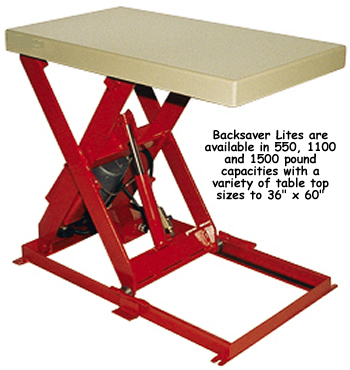 Casters add 3-3/8 to the low height of the lift. Lift Table, Powered Lift Tables, Southworth Lift Table, Tilt Tables, and Tilters from your source for material handling equipment.